Every year, as we celebrate World Rhino Day, my fellow champions of conservation send me the devastating statistics of rhino slaughter across South Africa. They know that even after a lifetime of fighting for our rhino, I am still moved by the numbers. It’s impossible to become inured to the carnage. But this year, one of Dr Jane Goodall’s favourite conservationists sent me something else; something that touched me as much as any story of rhinos lost or saved. It was a photograph, taken and sent by Mr Thomas D. Mangelsen, from his time spent with Saving the Wild, at Phinda Private Game Reserve. As they say, a picture is worth a thousand words. This one reminds me exactly why we are fighting and why we can never give up. So on World Rhino Day this year I have chosen to move my focus away from the numbers and statistics, away from the poachers and kingpins and corrupt officials that enable the slaughter to continue. This year, I choose to focus on the good we are doing. 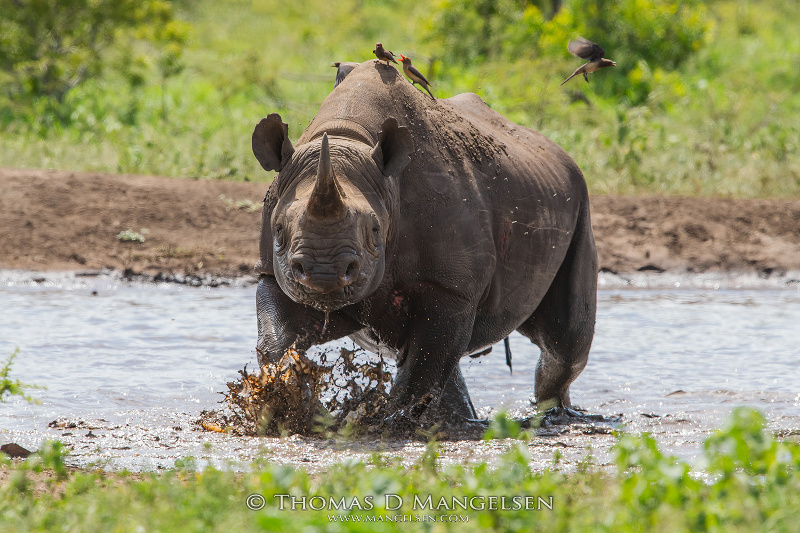 There are countless individuals who deserve our thanks, including people like Mr Mangelsen who uses his photography not only to inspire, but to raise funds internationally for South Africa’s rhino. Our appreciation should also be expressed to action groups like Saving the Wild, to the guides, trackers and rangers who risk their lives daily, and to the communities that live on the edge of reserves who work hand in hand with the authorities, reporting suspicious behaviour. I will always be proud of establishing South Africa’s first Department of Nature Conservation. But as I said at this year’s Rhino Conservation Awards, the fight for our rhino must be taken up by the next generation, and the next. We cannot rest on past achievements. We cannot rest at all. Our rhino need us.